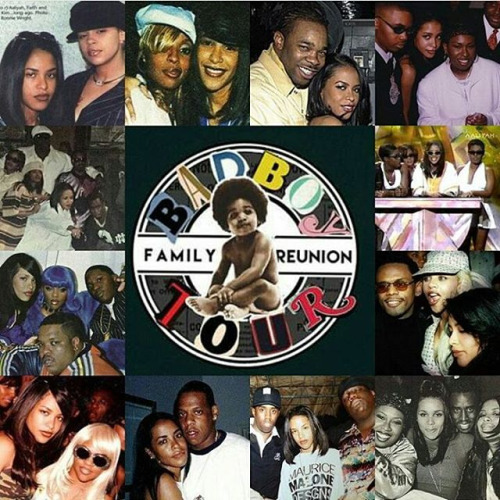 🔁 via @lilkimisbeautiful (Photo Credit 📷: @tylanol_nchill ) “I think it would be dope if the whole Bad Boy crew were to show love to #Aaliyah, a #BROOKLYN native for at least 2 shows from the tour. Not asking for much, just maybe have clips of her and BIG, of course, on the big screen behind them while they are all singing "I’ll Be Missing You” -the Ohio, August 25th show because that is the day she passed -the Detroit show since she was raised in Detroit. -the New York, NY show because she’s from NY. #classic #timeless #aaliyahformac #newyork #ohio#detroit #babygirl #LilKim #badboyreunion#queenbee #legend #icon #iconic #trendsetter#ORIGINAL #legendary #QueenofRap#femalerapper #rnb #rapper #rap #hiphop #music#pop #diddy #diva #badboy | I honestly think that this would be such a dope idea if it were to happen! 🙌💕 It definitely makes sense since Aaliyah was cool with all of those from the bad boy crew! I'm very curious to see other peoples opinions on this. What do YOU think? Please write your thoughts and comments below! Labels: #Team Aaliyah, 2016, Aaliyah, Aaliyah Archives, Bad Boy, Bad Boy Family Reunion Tour, Busta Rhymes, Faith Evans, Jay-Z, Junior M.A.F.I.A., Kidada Jones, Lil' Kim, Missy Elliott, Nas, P.Diddy, The Notorious B.I.G.